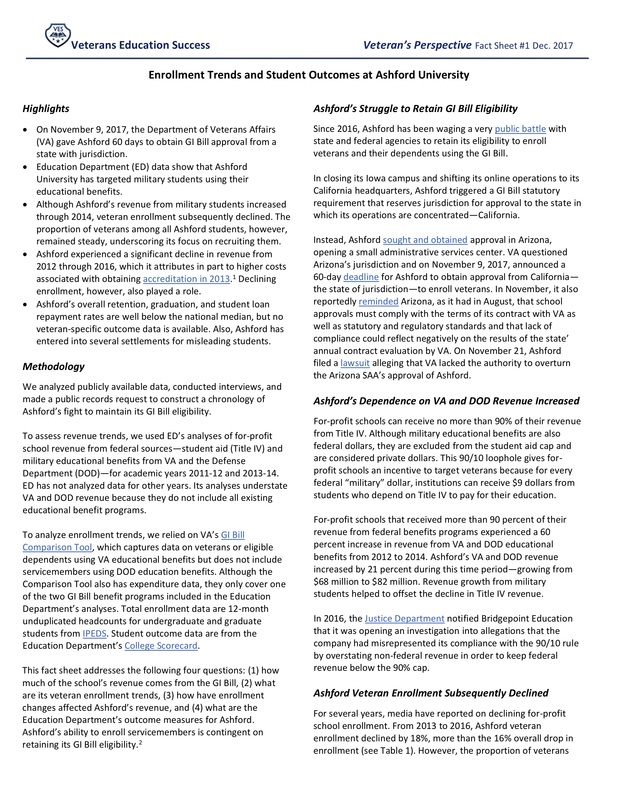 We analyzed publicly available data, conducted interviews, and made a public records request to construct a chronology of Ashford’s fight to maintain its GI Bill eligibility. To assess revenue trends, we used ED’s analyses of for-profit school revenue from federal sources—student aid (Title IV) and military educational benefits from VA and the Defense Department (DOD)—for academic years 2011-12 and 2013-14. ED has not analyzed data for other years. Its analyses understate VA and DOD revenue because they do not include all existing educational benefit programs.